ABC in Foster City is closed 🙁! 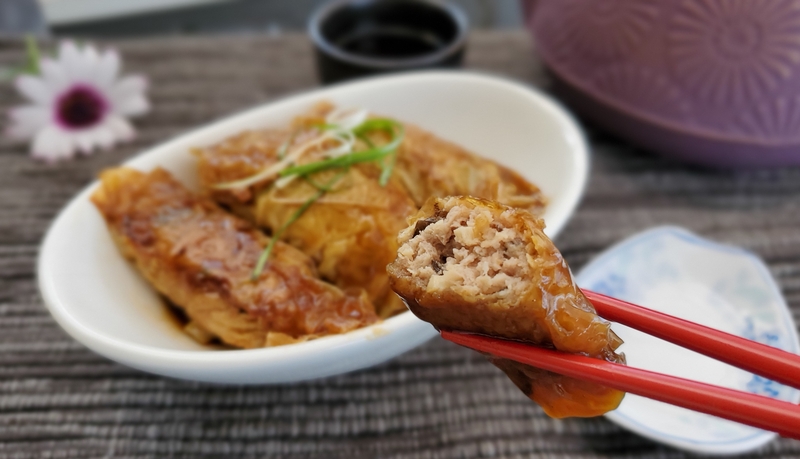 We miss the dim sum, especially the beancurd roll in oyster sauce (鲜竹卷). It is one of the few non-seafood item on the menu that EK will eat. 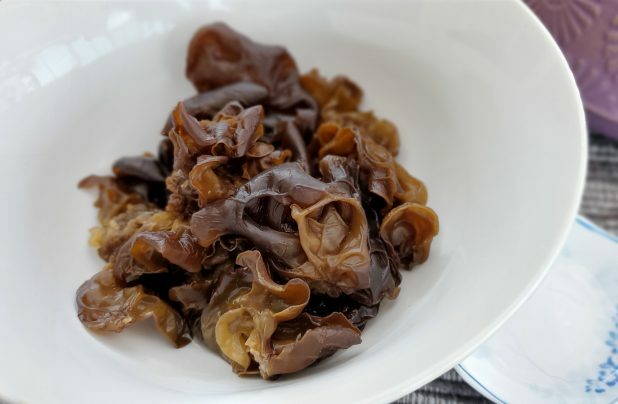 The black fungus and bamboo shoots add a little crunch to this savory dim sum. 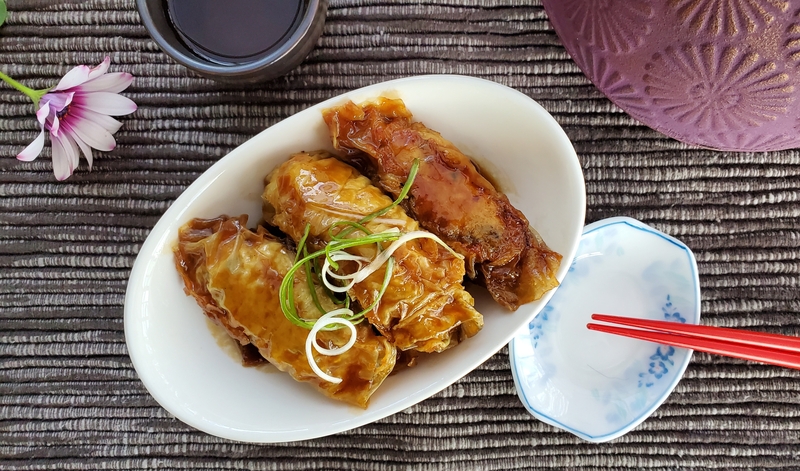 While it is not too difficult to prepare these rolls, there are many steps to steam, pan fry, and simmer the rolls in oyster sauce. It is time consuming. Take time to savor each piece; it is a labor of love for the food, for the love for cooking, and for whoever you prepare the food for. Stir marinade into ground pork, black fungus, and bamboo shoots in a large bowl until well combined. Add cornstarch mixture and stir vigorously for another 2 minutes. Set aside to chill in the refrigerator while you prepare the beancurd sheets. The beancurd sheet I buy from the Chinese grocery store is HUGE! Wipe each sheet with a clean moist towel to softened the skin. Cut into 4×4 inches squares. Scoop 2 Tbsp of meat mixture onto each beancurd sheet and wrap into a roll. 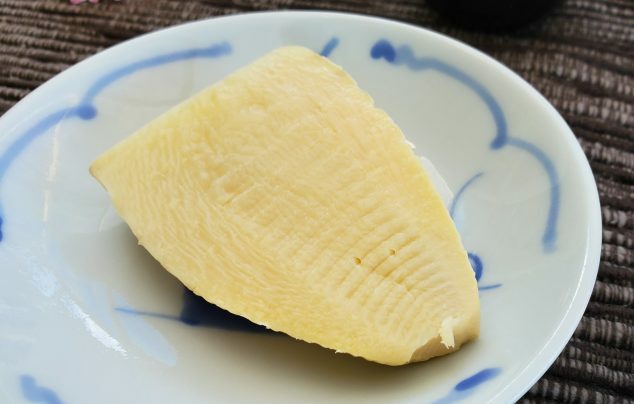 Seal the edges of the beancurd skin with water and place on lightly-oiled dish for steaming. Repeat until all the meat is wrapped. Steam over high heat for 15 minutes. Prepare the oyster sauce mixture in a small dish. Keep the corn starch mixture separate from the oyster sauce mixture. Pan fry each piece until skin is golden. 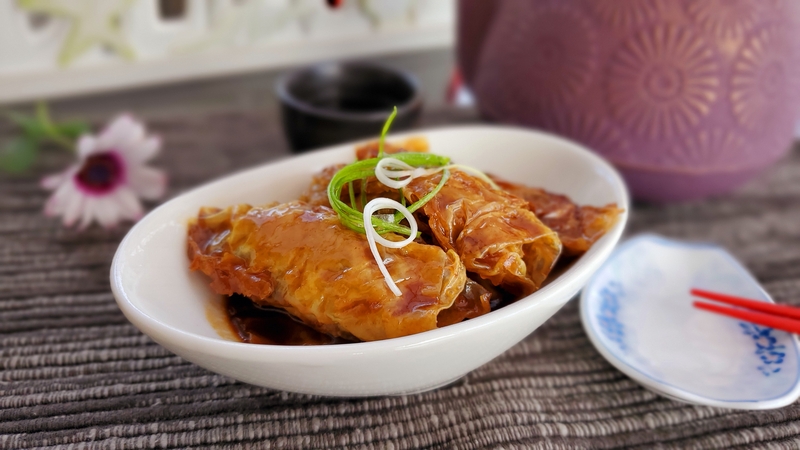 Drizzle oyster sauce mixture over the beancurd rolls and simmer the rolls for a couple of minutes until the skin is softened. Transfer the rolls to a serving dish. Thicken the remaining sauce with corn starch if desired. Pour the sauce over the rolls.